HubSpot! The most buzzing word in the current Global Market. Hope you all heard about HubSpot if not then you can go through What is HubSpot? Hubspot is basically an inbound marketing tool and sales platform. By using this platform, you can easily attract the customers and convert them into leads. I am using HubSpot for many years due to its effective services. It changed my overall view towards Sales process. It helped me to move in an accurate direction and achieve my revenue goals. 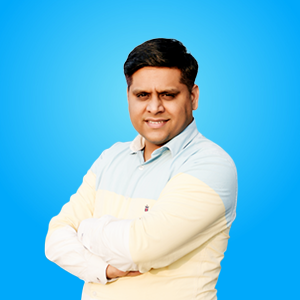 The best tool which I like the most in HubSpot is the HubSpot Sales as it helped me to generate more revenue and make good relationships with the customers. Do you have any place where you can store all the organizational data? Are you able to track your business activities like customers interests, website performance, etc.? Can you view, store and manage the data accurately? If Not? Do you wish the same? You are in the right place. Get an overview of this chapter and fulfill your business objectives. So let me introduce you with HubSpot CRM and HubSpot Sales. Let's start with the term CRM. CRM (Customer Relationship Management) is basically a system which will help you in making good relationships with customers, managers, leads, users and even prospects. The activities in which your business is engaging and tracking can easily be stored and evaluated with the help of the HubSpot CRM tool. I hope you know the importance of HubSpot CRM in enhancing the productivity of your inbound business. Do you want to make live information? Do you face problem to store large data as your business demands have increased? Use HubSpot CRM as it a central place where you can easily store the data and make the information live. Objects, Records and Properties are the three main components of HubSpot CRM. These properties will help you in organizing your business data and personalize the experiences. It also includes Deals and Pipeline which will help you in improving your sales process and generating more leads. You must be astonished to know that all the services that are provided in HubSpot CRM are totally free. By making an account in HubSpot Free CRM, you can easily manage the organizational data and build a better relationship with the customers. As we all know that sales is an essence of every enterprise as it helps to call customers to avail the offered services. The salesperson is the first individual with which your customers will interact and gain interest. By evaluating the SDR Metrics Report, 50% decline has been observed from 2.5 years to 1.5 from 2010 to 2018. Therefore, it is essential for you to focus on your sales process. You must know that If you do not focus on your sales process, then it may affect our business growth and productivity. From all the online resources, HubSpot Sales is the most common software used by the organizations to enhance their sales process. Descriptive Definition of HubSpot Sales? Do you want to drive better results in your business? Just pay less amount of money and avail all the features provided by the HubSpot and improve your sales process. Are you the one who wants to focus, measure and scale your sales process? Then you are definitely at the right place. Sales Tool of HubSpot will help you in achieving all your goals at the right time and the right place. HubSpot Sales is basically a time-saving sales software which will help you in getting deeper insights your business prospects and automate all your tasks. You can also save time in each stage of the funnel. You can also call Hubspot Sales as HubSpot Sales Automation tool as it will help you to out-reach the data and provide efficient services to the customers in less time. It is the only tool which provides free Sales services. The main motive of each business is to uncover more leads in less time. HubSpot Sales tool will help you in scheduling all the activities in such a way that you can instantly notify all the customers and convert them into leads for improving your business productivity and efficiency. This automation tool will help you to increase your business revenue without spending a large amount of money and time. All the sales related operations can easily be automated. With the help of this tool, you can also set automatic reminders and follow up emails. Are you unable to track personal customer history? HubSpot Sales will help you to get accurate and detailed reports. Are you new into the world of business and want to improve your services? You can contact us and avail HubSpot Services. HubSpot Sales offers free startup package which is known as HubSpot Sales CRM. It helps the people who are new into the world of business. You should not think while using paid packages because HubSpot Sales is the only platform which provides affordable pricing scheme. Most of the startup organizations avail free services to measure the effects of their business performance. If you still have any doubts regarding the term HubSpot Sales then Read more. To reduce the complexity of your business, switch to paid plans which come under HubSpot Sales Hub. Do you want to provide a complete sales toolkit to your sales team for connecting more leads and close more deals? Go for HubSpot Sales Hub or HubSpot Sales Pro as it provides advanced automation, artificial intelligence, and advanced reporting. You might be confused with HubSpot Sales Hub and Hubspot Sales. Hubspot sales hub is the premium version of the HubSpot Sales tool which includes all the features related to sales. 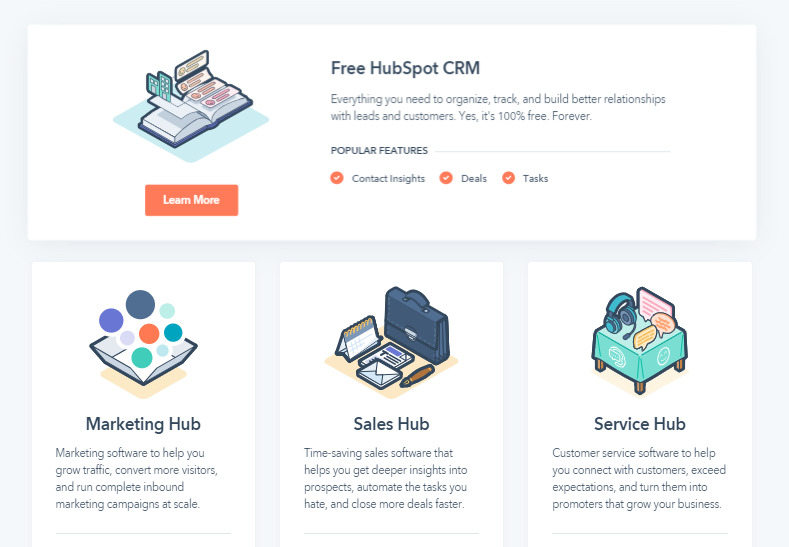 By paying a limited amount of money, you can avail all the features of HubSpot Sales as it will help your sales team in converting customers into leads by making a better relationship. Click here to read more about the difference between all these stages of HubSpot Sales hub. You will also get to know about all these types in chapter 6. Still, have queries about choosing HubSpot Sales? Go through the mentioned benefits. I understand that it's a bit confusing because in this world of marketing there are many Sales tools such as Freshsales, Pardot, HubSpot and many more which are used by the organizations to track their sales process. It is obvious to raise the question in your mind that why to go for HubSpot Sales only? Ok, tell me- Is there any sales tool which is providing all the features in such an affordable price? Obviously not. Then why not to spend less and get more services related to sales. I can assure you that moving to HubSpot Sales will be the best decision you will ever take to improve your business services because I am currently using from last many years and it helped me to grow my business revenue, and efficiency. There are many advantages which will help you in enhancing your business performance and improving the sales process. Is your organizational aim is to boost your business revenue in less time? HubSpot Sales is an appropriate tool. By using this tool, you can easily automate all your business tasks and personalize the emails without spending extra time. This tool will help you to maintain the privacy of your leads. It is possible because it sends automatic reminders to those who perform desired actions such as clicking on the links, opening emails, etc. Therefore, there is no chance to miss the action. You must be aware that managing a robust sales process is difficult and consumes a lot of time. Want to mitigate this problem? Use HubSpot Sales tool as it comes up with the feature of intuitive navigation. All users can easily understand the workings of this tool. To use this tool, you need not pay extra installation fees as it is hosted in the cloud. The best possible way to improve your sales process is to build a customer relationship that lasts. This is only possible by using the HubSpot Sales tool. By using this automatic tool, you can easily create your personalized email templates as it will further help you in measuring your business performance. By using this particular system, you can also add meeting links to all the emails which will notify the customers about the respective task. Are you unable to import more contacts at a single time? Is it difficult for you to estimate manual data entry? Move to HubSpot Sales because it will help you in managing your pipeline. By using this tool, you can easily add more contacts which can be viewed on the dashboard. Thus, you can manage contacts and focus on converting customers into leads. Do you also want to attract more leads and manage them according to your business objectives? With the help of the HubSpot sales tool, you can promote your services and products. You can also monitor the visitors and evaluate the buyers perspective. HubSpot Sales is synchronized with HubSpot CRM. It will assist you in monitoring your sales pipeline. You can also compare the performance of various agents for selecting the best. By tracking the pipeline, you can easily know the current status of your deal. It will help you in managing deal pipeline and building a good relationship with the customers. You can also use this tool for the promotion purpose. This is another benefit which will force you to use HubSpot Sales Hub services. HubSpot has a reliable team of sales professional which will solve all the queries of the customers via email, phone call, etc. HubSpot Sales provides a live chat feature. It will help you to clarify all your doubts regarding sales and other business-related activities. Always remember, moving to premium version will help your sales team to complete the assigned task in less time because the number of features increases with the upgrade version. Want to know more about HubSpot Sales Hub advantages, Click Here. Chapter-3 Why to choose HubSpot Sales Hub instead of HubSpot CRM? Till now, you have a basic understanding of both the terms HubSpot CRM and HubSpot Sales. Most of the Us are confused between both these terms. Even, when I started using HubSpot, I was in a dilemma that both CRM and Sales have the same functions. But after using both the tools, I can easily differentiate between them. In this chapter, we will discuss all the differences that are observed by me while using both these tools. Added unbiased information will definitely help you to differentiate HubSpot CRM and HubSpot Sales easily. HubSpot CRM is the software which will help you in creating deal, contacts and company records. By using this particular tool, you can organize, track and build a better relationship with all the customers which further helps in enhancing business productivity. HubSpot sales platform helps to automate all the tasks and generate more revenue. By using this particular tool, you can transform all your sales process into a supercharged sales engine. HubSpot CRM offers Free Services. HubSpot Sales also provide free services to some extent. 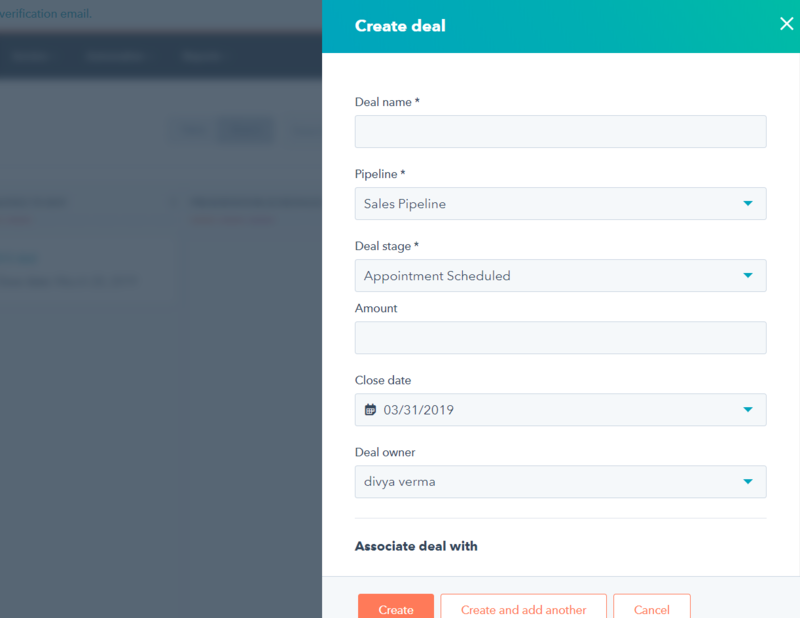 If you want to offer more features to your sales team and organize your sales process more efficiently, you need to pay some charges according to the selected package. HubSpot CRM offers only one version which is Free. HubSpot Sales also supported the English language. Appropriate for small size organizations. It is used by Small business, medium business, and large enterprise. 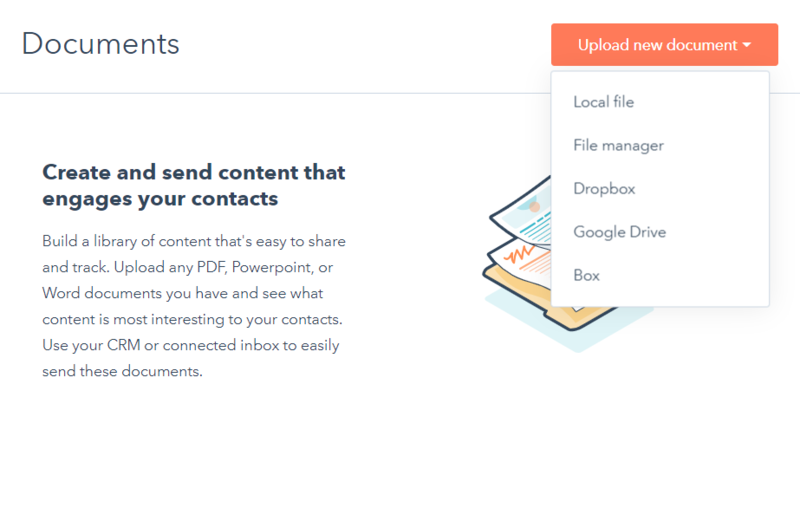 HubSpot CRM offers limited storage. By using HubSpot CRM, you can store only 100 contacts at most. HubSpot Sales offers unlimited storage. You can store large data by paying some limited amount of money as per the demand. By evaluating the above differences, you will be glad to use HubSpot Sales Pro. Yes, it is the right choice because there is no other software which will provide you with all these services in such a limited amount. I personally advise you to use HubSpot free services. I assure you that once you move to HubSpot, you will definitely love to go for its paid versions. If you want to know more about both these tools, contact our expert team. 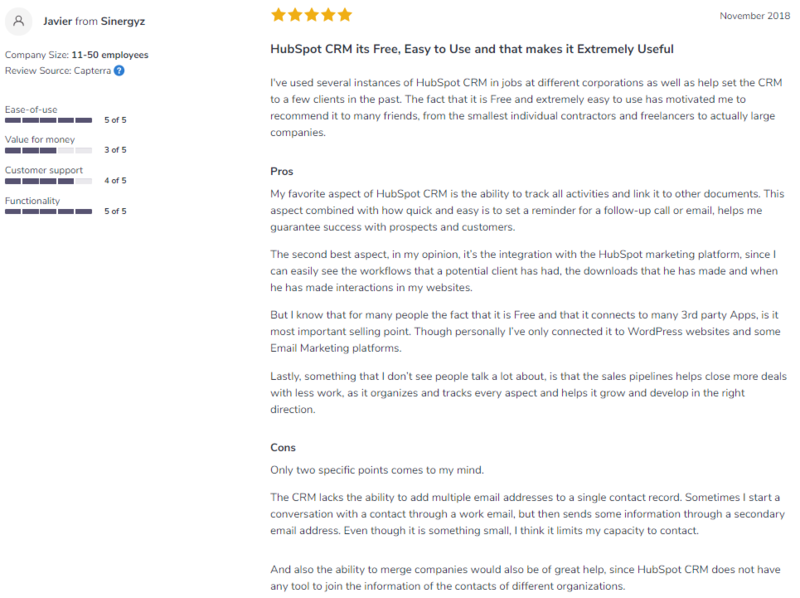 Till now, you have evaluated the difference between HubSpot CRM and Sales hub. 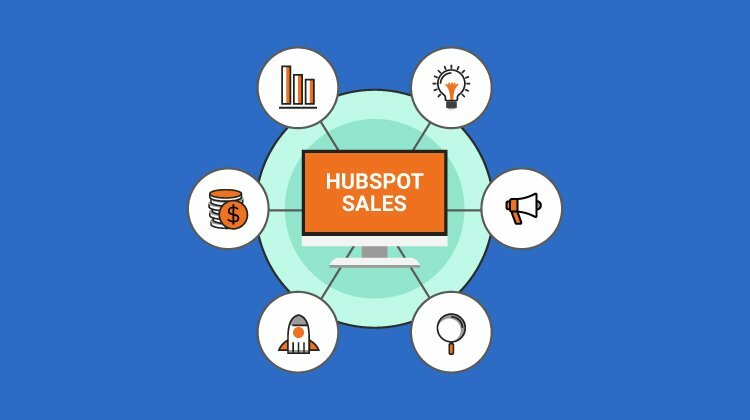 Do you want to learn more about HubSpot sales Hub? Go down and read How to use HubSpot Sales. To avail the HubSpot Sale services, firstly you need to create Sales Account in HubSpot. New to HubSpot? Then all the below added steps would be much beneficial for you as it will help you in creating HubSpot Sales Account without any difficulty. Your first step is to create the HubSpot account by clicking on HubSpot.Com. You will visit on the login page. Click here to know How to install HubSpot Sales. 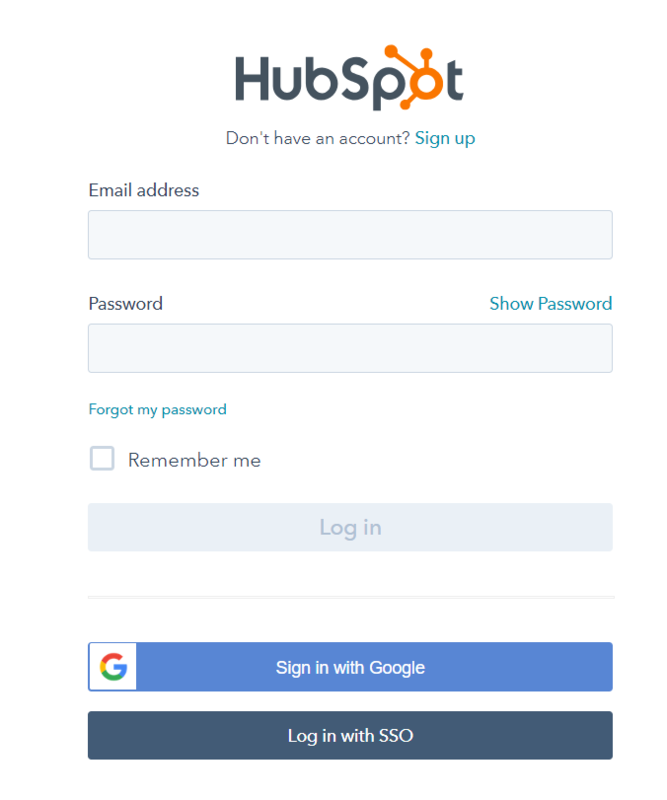 If you are already using HubSpot, directly enter your email address and password to move further. But if your new user, then click on the signup link and enter your details for creating HubSpot free account. 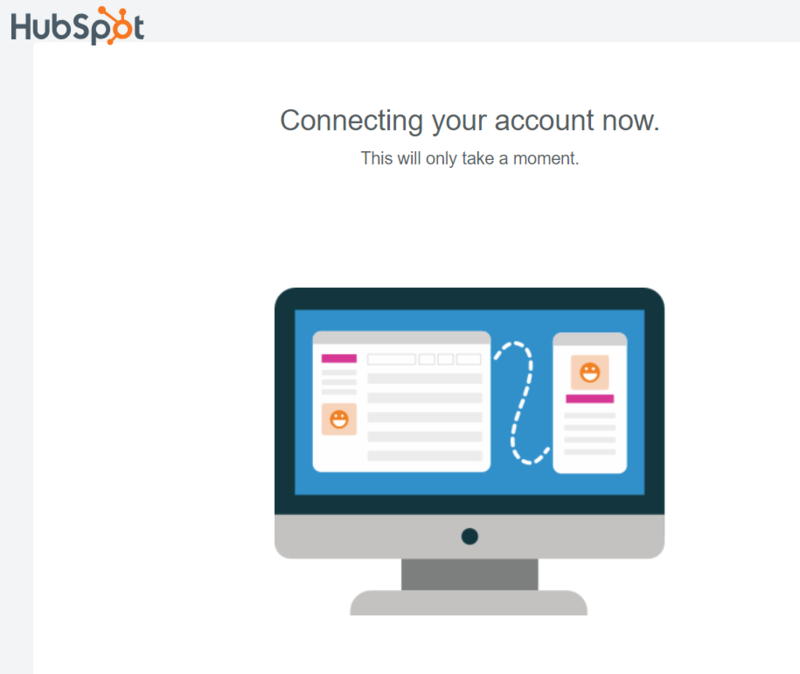 Once you log in, you will be directed to the home page of HubSpot. Now, your next task is to add contacts by entering their details. Navigate to the menu bar and click on the contacts button which is displayed in the top left corner of the dashboard. Click on Create contact and enter the asked information such as email address, first name, last name, etc. Once you entered all the details, click on create contact. You can also import more contact at a single time by clicking on the Import button. To know the detailed process of import, Click Here. Once your contact is created, it will be displayed on the dashboard. 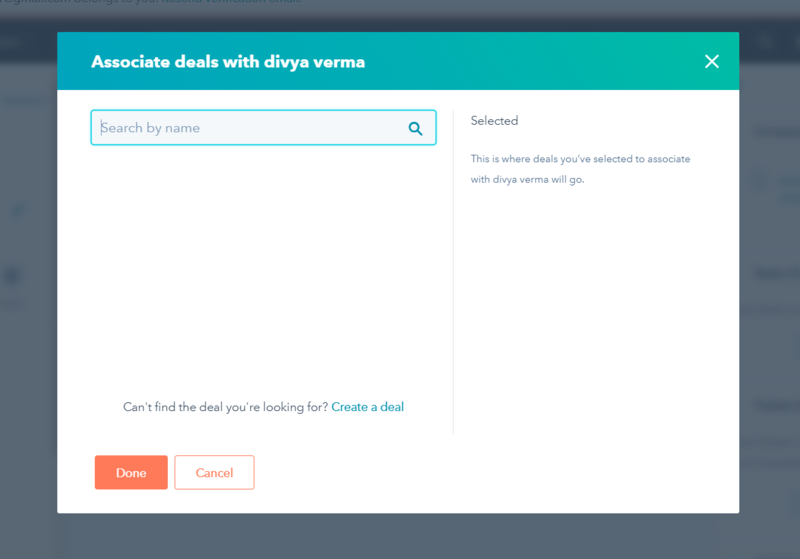 Allocate deals, and tickets with the selected contacts by adding the deal name and ticket name respectively. After entering the name, Click on the done button to complete the process. To communicate with your created deal just click on call or email icon displayed on the left side of the page. 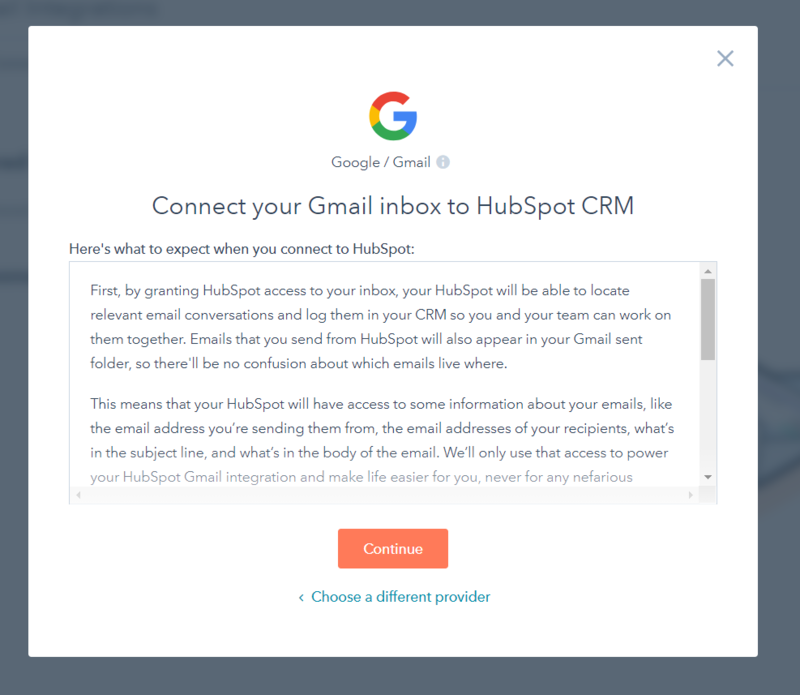 Now, it's time to integrate HubSpot with Gmail account. Click on Connect to inbox button and select your inbox provider. Suppose you select Google/Gmail; you will be redirected to the page in which terms and conditions are added. After reading the information, click on the continue button. Now, choose the account with which you want to connect. 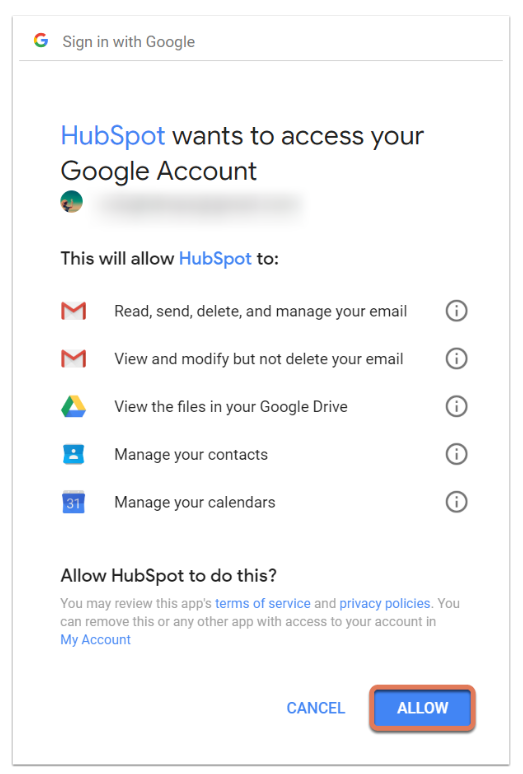 Click on Allow button and Gmail will be connected to the HubSpot. You will then be redirected to the HubSpot Dashboard. 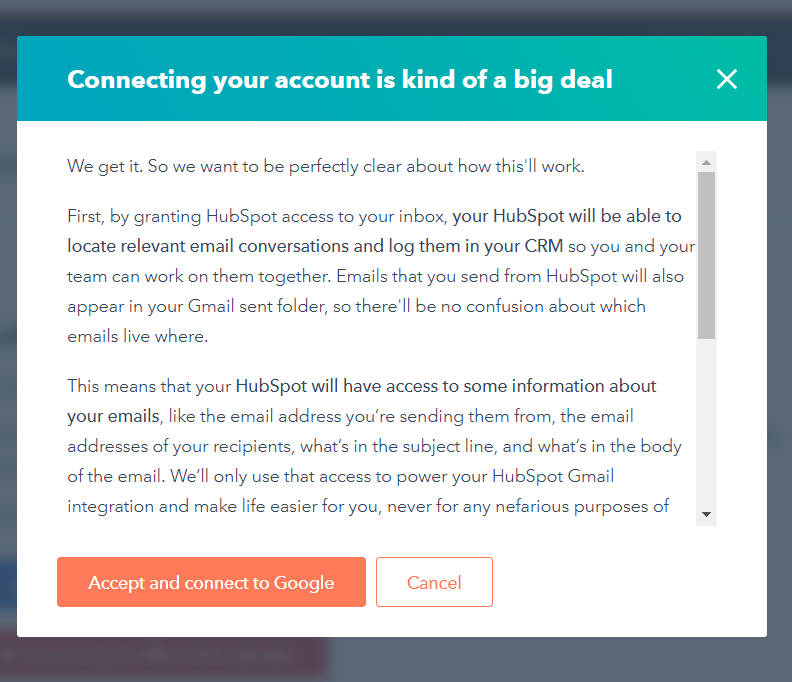 You will also receive an email from the HubSpot account when your integration is completed. To understand the workings of dashboard, follow the below steps. Navigate to the menu bar and click on deals button. Here, you have to enter all the details in the respective areas like deal name, select pipeline, select deal stage, amount, close date, deal owner, company, contact, and products to add the product you have to upgrade to Sales Professional. After entering the information click on the Create button. You will see your created deal on the dashboard. If you have added some incorrect information in the created deal, don't worry! You can also perform the updations. Just, click on the deal you want to update. If you want to edit the deal, click on the Edit icon. Now, choose the property you want to edit and click on the Update button. 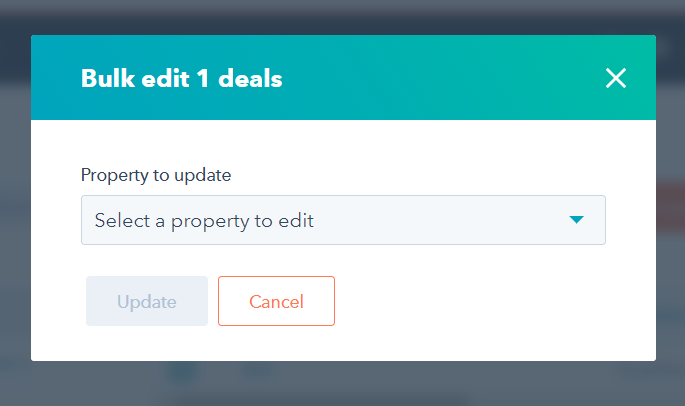 Suppose, you want to edit the amount of the created deal. Add the new amount and click on the Update button. 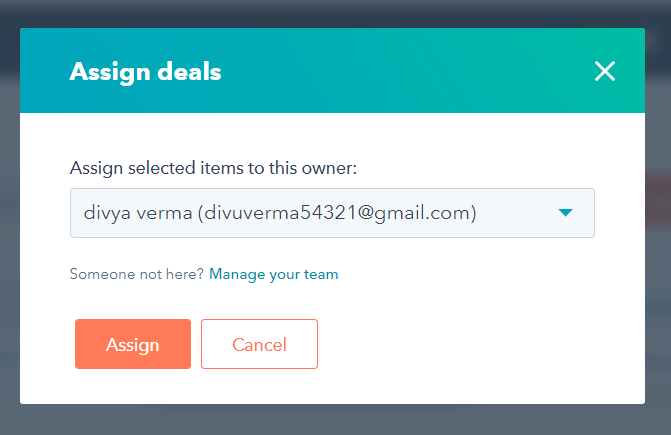 If you want to assign an owner to the item, click on the assign button and select the owner and click on the Assign button. You can also delete the deal by clicking on permanently delete link. If you want to import more deals at one time, click on the Import button. To know the steps in detail, Click Here. Click on the task button from the navigation bar. 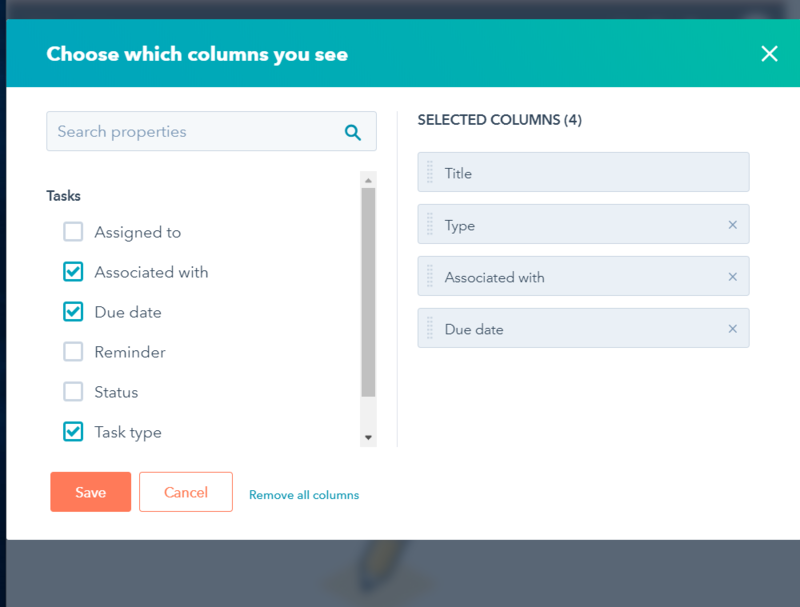 Here, you have to enter the title, associated record, due date, email reminders, notes, type, Queue, and select the name to which task is assigned to. Once you enter the details, Click on the Create button. You will get a notification for the task completion. If you want to edit the column of your task, Click on Actions button which lies on the left side of Create Task button. Here you have to select the columns and click on the Save button to update the columns. Click on Sales > Documents from the navigation bar. Click on Upload new document button to create the document and engage the contacts. After clicking on Upload new document button, choose the file type. 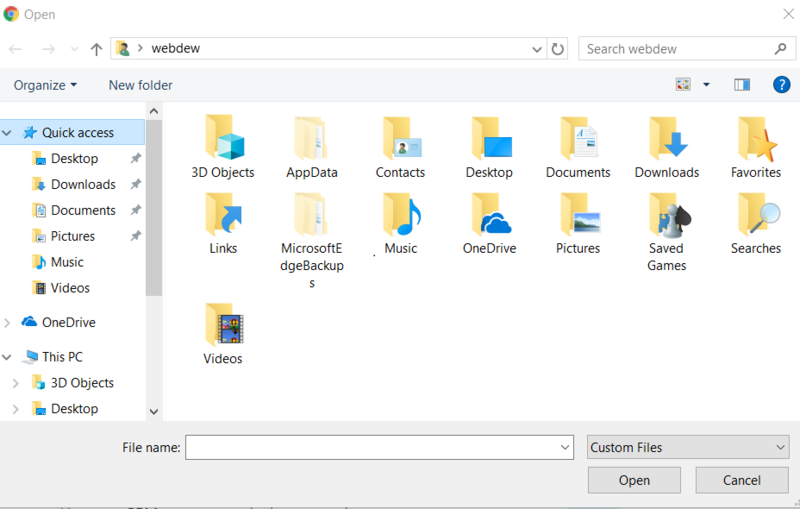 If you select Local file option, you will view your desktop folder. Now, choose the document and click on the Open button. If you select the File manager option, then search the file and folders and click on the Add document button. To add a document from Dropbox, enter your email id > select file and click OK. 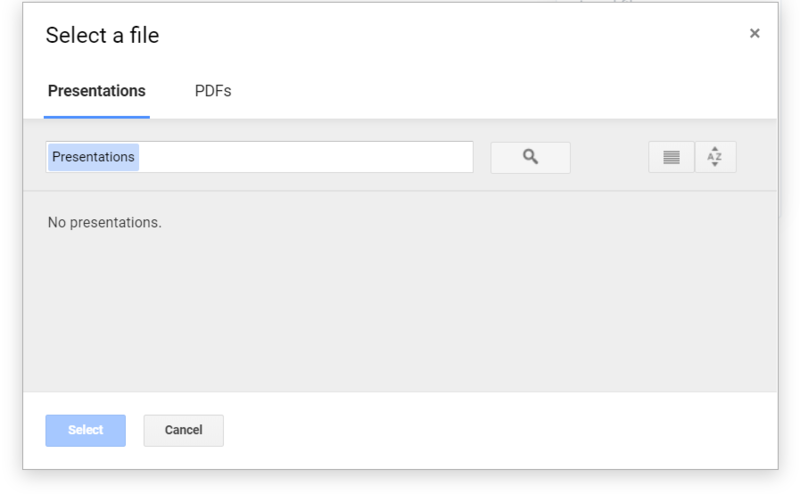 Similar to the case with Google Drive, add your email address and click on the Allow button. Select the file and click the select button. 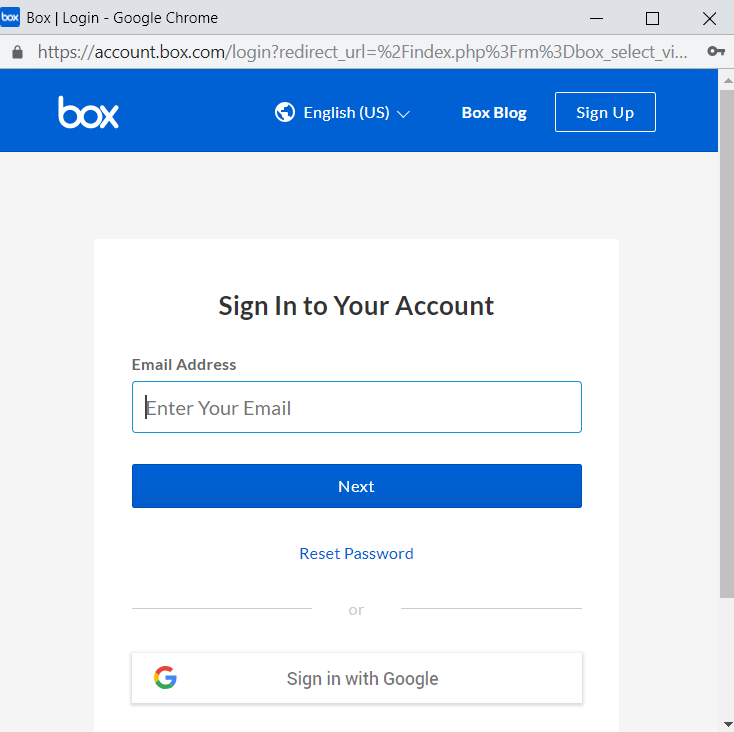 If you click on the box, you first have to enter your email address and password. Now, select the file and click allow button. To conduct a meeting, click on Sales Meeting. Now, you have two options to select. 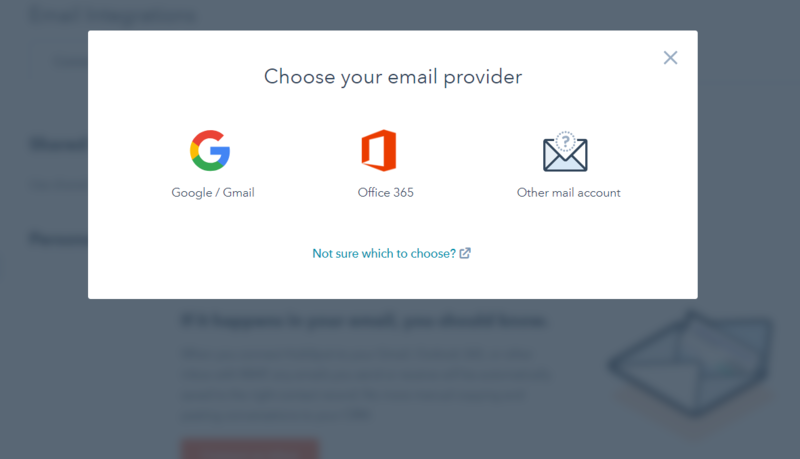 Either you can choose Connect your Google calendar or Connect your office 365 calendar. After selecting the one, a dialog box will appear on the screen. 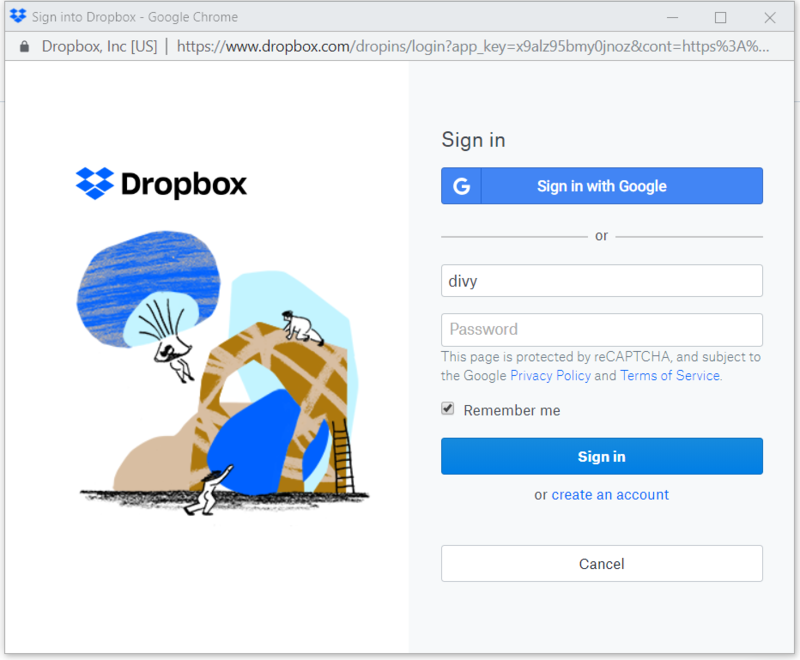 Click on Accept and connect to google and sign in with the account. You will receive the notification, and your account will be connected. Remember: This service can be availed if you have access to HubSpot Sales Enterprise version. Now, navigate to playbook type Add title and click on Create playbook. Enter the body content and format by using the toolbar which is added on the top of the page. 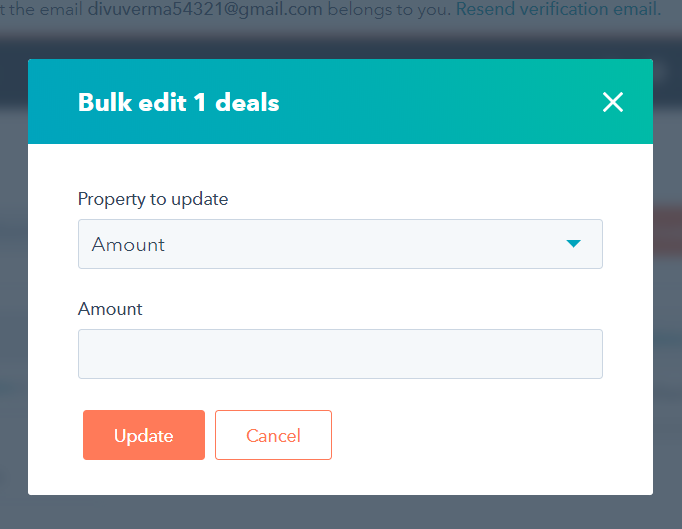 Once, you are done with the addition, click on the Preview button to see how the content will look like on company, contact, ticket and deal record. To upload the content successfully, Click on Publish button. The content once published can be updated. You can easily edit, clone, delete and unpublish the content by using respective buttons. You can also move your created playbook to another folder. Below are some of the steps to organize the playbook in different folders. Click on New folder from the upper right corner of the desktop. Enter the name of the folder and click on the Add folder button. 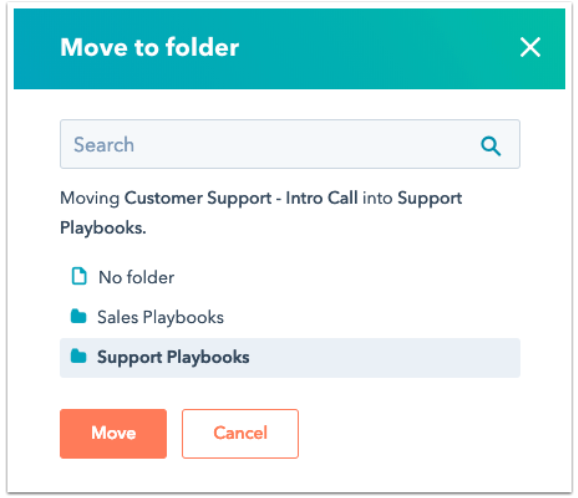 Now, click on the move button to transfer the specific playbook to a folder. Now, you have to select a folder in which you want to transfer. After selecting, Click on the Move button. Your playbook will be redirected to the respective folder. If you want to change the name of the folder click on rename, select the checkbox and rename the file. Hope, all these steps will help you to browse the whole HubSpot sales Software tool easily. While using the HubSpot sales tool, you should also know that HubSpot also provides the feature of HubSpot Sales Extension. If you add the extension on your desktop, you can directly visit the respective web page. To understand more about HubSpot free tool, read the article A Definitive Guide to HubSpot CRM. This is just an overview. There are much more interesting facts which will help you to improve your sales and business revenue. Are you planning to implement the steps? First, scroll down and read more about Hubspot Sales in detail. By reading this particular chapter, you will get to know about all the properties of HubSpot Sales such as its features and other related services. You might have got an overview of HubSpot Sales features by reading the above-added difference. Right? Now, we will discuss the detailed features of HubSpot Sales. It is one of the essential features of HubSpot Sales which attract most of the organizations towards HubSpot Sales. All the sales process such as sending emails to the deals, send reminders, follow up, etc are sent automatically. You can perform another task instead of sending emails and reminders. It will further improve the efficiency and accuracy of all your tasks related to sales. Most of the business organizations prefer to integrate all their software with each other for accessing information efficiently and without facing manual errors. HubSpot Sales provides CRM integration, API, Gmail integration, G Suite, and Outlook integration. This feature helps you to synchronize your sales process easier. 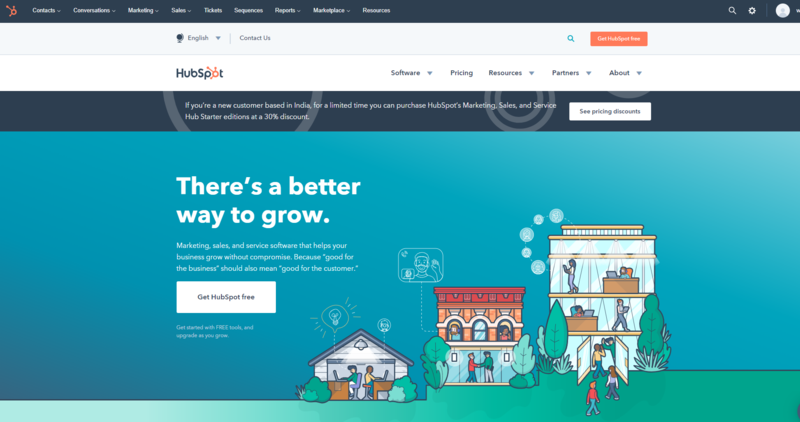 Once you integrate your website with HubSpot Sales, you can easily track the activities, organize meetings, share documents, tailor the performance, recover data quickly and in a user-friendly manner. Calling is another attractive feature of HubSpot sales. By using this particular feature, you can communicate with all your contacts and deals directly from your browser. It will save you time as you need not browse the whole list of contacts. This feature will help you in making a better relationship with customers by communicating directly through calls. The primary objective of business organizations is to engage and delight customers. Email scheduling and tracking feature of HubSpot Sales will help you to achieve your business goals by optimizing all the activities accurately. By using this tool, you can schedule the emails directly from your Gmail inbox which will be saved as a draft and edited at any point. To improve your sales process, you should need to prioritize your leads. Just think! When you access your Facebook or Instagram accounts, you always see the posts that are most relevant to you. This helps in building the customers interest. Similarly, Smart notification feature of HubSpot Sales will help you grade your leads and save your valuable time. Creation and arrangement of documents play an essential role in every organization. Surely, you also want to achieve the same. Here is the solution to your problem. HubSpot sales offer management capabilities. With the help of this feature, you can create new documents and manage the data accurately. Want to scale your business efficiency? 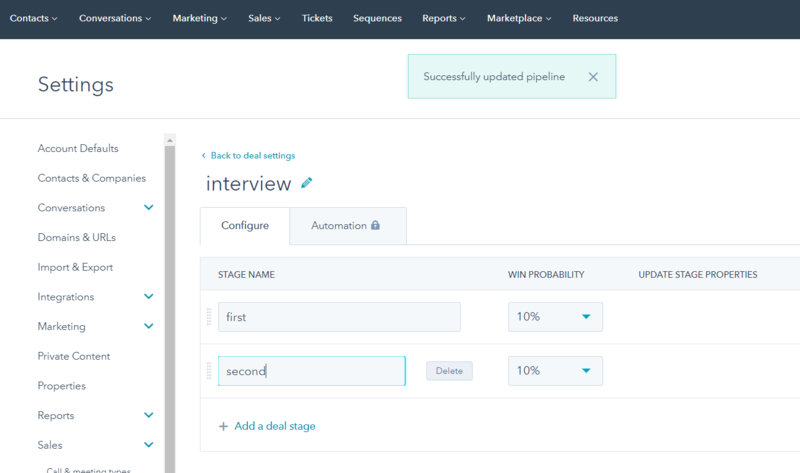 HubSpot sales Sequence feature will help you to queue all the data and forward it to your prospects. By using this tool, you can easily personalize all your sent sales emails, automate follow-ups, personalize emails with company and contact details. By tracking the emails, you can easily determine the best sequence as it will help you to increase your business productivity and efficiency. Prospects is another feature of HubSpot sales which detects the IP address of all the viewed pages on the sites. With the help of this feature, you can easily get the necessary information about the companies like domain name, a region of sales, list of related companies, etc. You can also determine the nature and interest of existing leads. There are still some organizations that arrange the meetings manually. It consumes their precious time. If you are on the same stage, then it’s time to move. Migrate to HubSpot Sales and schedule the meetings with the customers in less time. Whenever a new prospect joins the meeting, this tool will automatically update the record in a simplified manner. Just activate meetings inside your HubSpot sales account and select the meeting date inside your calendar. This specific feature of HubSpot Sales will help you to create many templates. With the help of these templates, you can easily sequence and optimize the emails. This will further help you to get better results. If you are familiar with the term HubSpot, then you may know about Workflows. It is basically an automated event which is specially used for improving marketing and sales purpose. 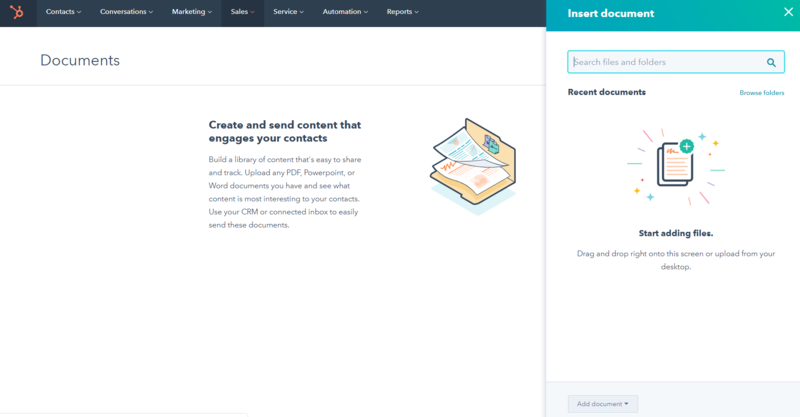 By using the workflow feature of HubSpot Sales, you can automate all your deals and tasks to reduce manual errors and time. HubSpot Sales provide the features of visitor tracking. For making a good relationship, it is crucial to evaluate customer interest. By using this feature, you can track the exact candidate status and perform the next task according to your demands. Are you facing problem in adding leads information through manual approach? 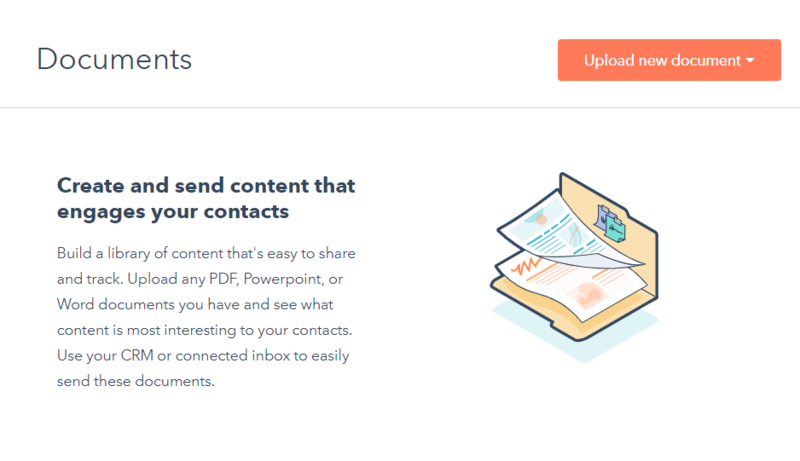 Deals feature of HubSpot Sales will help you to add and manage personal information related to leads such as contact information, emails, etc. With the help of this particular feature, all the time-consuming tasks such as lead rotation, task creation, and many more can be done automatically. All the records, tasks and deals that are created in HubSpot sales can be viewed on the dashboard. By evaluating the dashboard, you can easily track the activity and can also filter the specific information related to deal with a click of a button. Live Chat is one of the most promising features of HubSpot Sales. Communication and resolving the customer's doubts is the main focus of the organization as it will help in building a good relationship with the customers. Uncertainty, if you missed any call, Live Chat feature will notify you by sending a link. It will alert you to pick a meeting time which will help both the personas. HubSpot Sales gives access to personalize unlimited reports and add all the sales related information on the dashboard. With the help of this feature, you can easily evaluate your sales performance by analyzing the graphs in less time. The product is a new feature of HubSpot Sales which is commonly used by Sales Professional. By using this particular feature, you can allocate the deals quickly and accurately. It will also help you to compile the reports which will provide the information related to the product. Tracking everyday task is one of the most challenging tasks which may create a problem in managing the information. 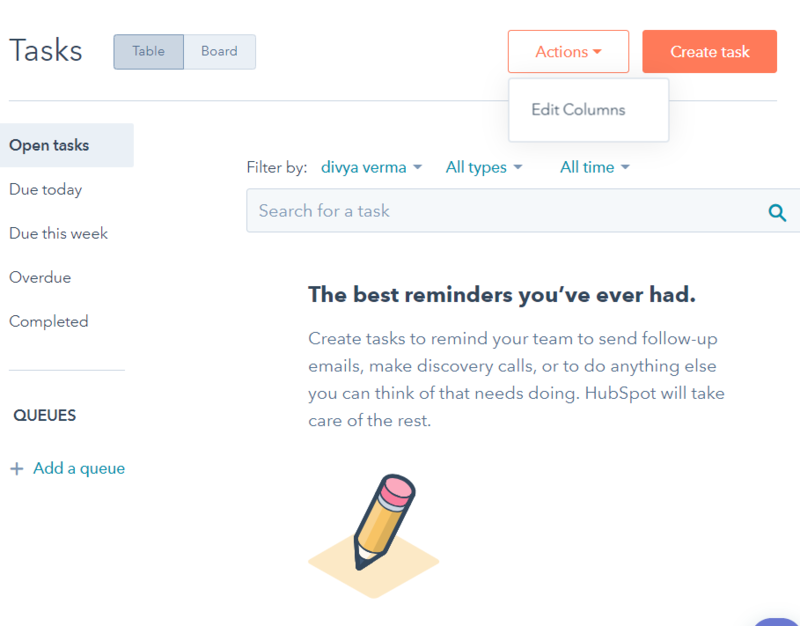 This feature of HubSpot Sales will help you to add the tasks and list them according to the demand. You can also add the tasks automatically by taking specific actions. By reading all these features, you might be thinking about availing them? Right? Contact Us. As we have discussed that organizations aim to generate more revenue and create many opportunities in their pipeline, Are you planning the same? To achieve the goals, You must know HubSpot Sales pipeline in detail because more are the opportunities in your pipeline more easily you will achieve revenue goals. Accessing and managing the data will help you in making a healthy pipeline. Before you process, let us discuss the HubSpot Sales Pipeline. HubSpot sales pipeline will help you to manage each stage of your sales pipeline accurately. It is basically a representation of your sales process. As per my own experience, I observed that sometimes marketing managers miss the opportunity as they are busy in performing another task and grabbing another opportunity. By using the HubSpot sales pipeline, you can easily track the opportunity when it moves from one stage of your pipeline to another. By looking at each stage of the pipeline, you can easily predict the closing time of the deal. You will not miss any stage while creating a sale. The term sales pipeline is commonly confused with the Sales forecast. If you have the same doubt, then you should definitely clear it because both are totally different. HubSpot sales pipeline include all the opportunities that are handled by Salespersons. But on the other hand, sales Forecast will just provide an estimation to the opportunities that are near to the closing stage. 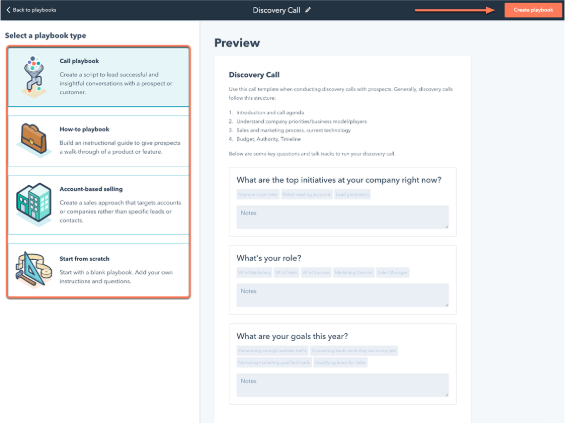 If you want to manage and track your sales process, then the HubSpot Sales pipeline is the best possible way. You must be aware that every organization has a different sales process. Therefore, it is more critical for you to create a separate sales pipeline so that buyers journey can quickly be reflected by it. Now, the main point is the creation of the HubSpot sales pipeline. By creating the pipelines in simple form, you will get to know more about the tasks. Read the next chapter to know the informative steps for creating HubSpot sales Pipeline. Read and perform the steps as it will lead you to create HubSpot sales pipeline successfully. 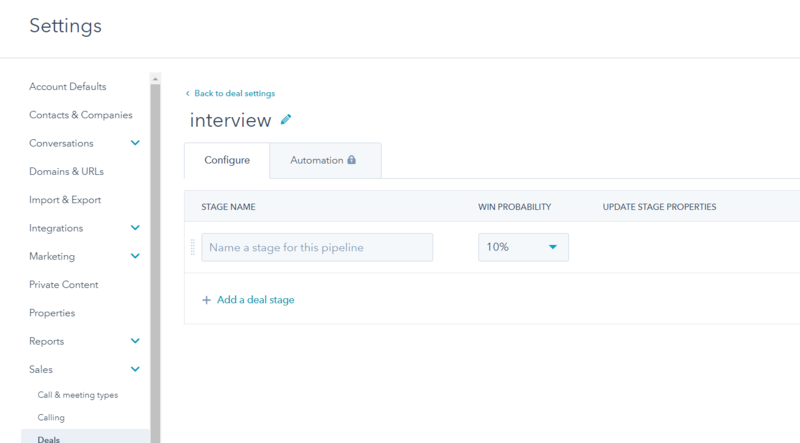 Step-3: Scroll down to the deal pipelines and stages. In this section, you can view, edit and delete the pipelines and stages. 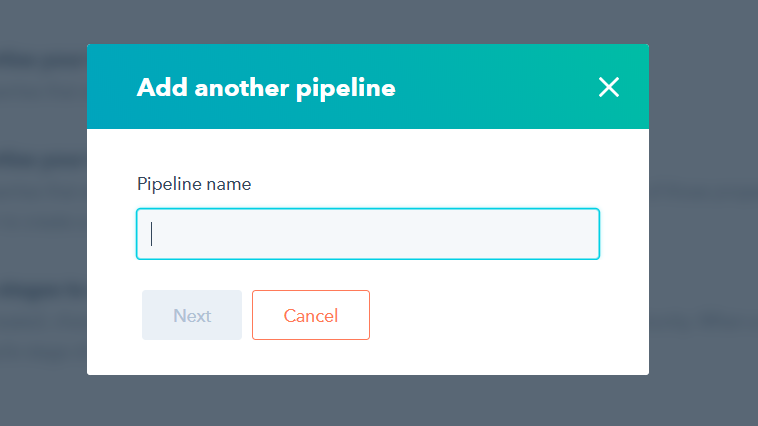 You can also create a new pipeline by clicking on + Add another pipeline button. Note: Always remembers that access to create multiple pipelines is only given to HubSpot sales professional and enterprise. 1- Now, click on the Edit button to customize all your deal stages. 3- Here you can make the updates in your sales pipeline. If you want to change the order of the pipeline, use drag and drop facility to change the order of the pipeline. Here you can update the properties according to your needs. Once you select the deal information from the drop-down list, Click on save Button to make the updates. If you want to Delete the pipeline, hover over the particular stage and click on the Delete button. 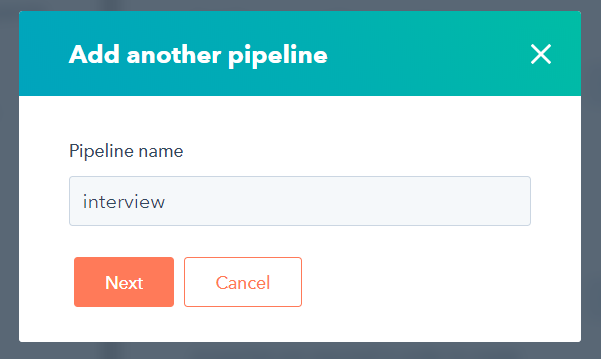 2- Now, add the pipeline name and click on the Next Button. 3- Now, add Stage name. All the pipelines that are created by you will appear on the dashboard. Remember to have at least one stage in the pipeline. 5- If you have entered the wrong name, Don't Worry. HubSpot provides Delete option. By clicking on the Delete Button, the respective pipeline can be deleted easily. You will be surprised to know that HubSpot also provides the automation facility. But, it can only be done by the users who have access to HubSpot sales Professional. 1- Follow the steps that are performed while adding pipeline name. 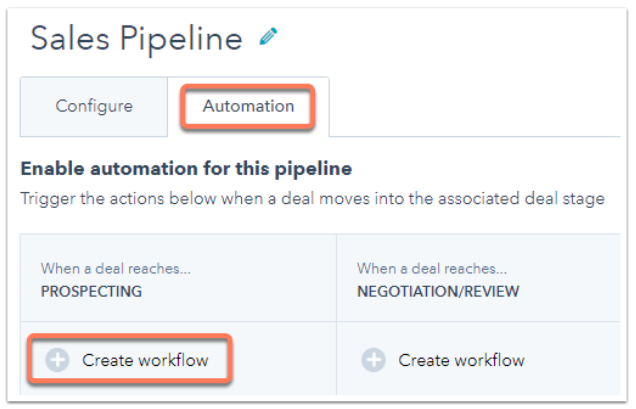 2- To automate the flow of created Pipeline, Click on the Automation tab. 3- Click on create Workflow button which lies in the deal stage. 4- Navigate to the right panel and click on the Create task button. Here you can customize all your deal tasks by adding title name, date, email reminders, notes, types, assign tasks to and owner name. 5- After entering all the information, Click on the save button to automate the process. Going with the flow, Excellent! You can successfully create, edit, delete and automate the sales pipeline. Do you want to take help from the expert team? Click Here. Till now you have learned about the sales pipeline. But, are you aware about its working? No Right? Not to Worry. Scroll down and read. While creating the HubSpot Sales Pipeline, you should know about the logic of Sales and how it works. By added information will help you to learn more about the HubSpot Sales process. Before you proceed with HubSpot Sales process, firstly understand- What is Sales Process in HubSpot? The sales process is a collection of steps that are performed by your sales team again and again. Sales Process is the best possible way as it will help you to define and view all your companies sales. The main motive behind performing the essential steps is to prospect the movement of customers from an early stage to close stage. I know that creating a scalable and repeatable sales process is a difficulty. Everyone gets confused in selecting the first step. Relax. Scroll down for navigating HubSpot Sales Process. For creating a smooth and efficient sales process, you need to follow the proper steps. Creating the sales process in a suitable format will help you in achieving your goals. This is the beginning of the sales process. First, you need to do the prospecting of new sources. It may also include online resources such as Quora, etc. This can also be done directly by communicating with the clients and asking the questions. Prospecting of sources is one of the essential steps of the sales process. More is the prospecting; better will be the results. The main objective of communicating with the contacts is to gather more information and understand the interest of the customers. This is done in the connect stage which is also known as discovery cell. To evaluate and schedule all the challenges, and business goals, Salesperson, ask the questions through emails, calls or by conducting meetings. If you miss this step, it may lead to dissatisfaction and miscommunication. This step helps to improve the likelihood as a salesperson for offering more tailored experiences. To perform this step, salespeople need to communicate with the people in other departments to get an overview of the business. Presenting and demonstrating is a typical stage of the sales process. This is the only step which takes a lot of time to complete. Therefore you need well-qualified prospects. To complete it successfully, the salesperson should tailor all the pain points and use cases to meet the prospecting. They also conduct a meeting with the executives as it will help them in demonstrating the level of services which will be delivered to the customers. It will also help the buyers to take the decision as they are the main decision makers. For presenting more accurately, you can draw a proposal and share it with another person. Closing and delivering services is the last step in the sales process. This stage basically refers to late-stage activities. All these activities vary from one company to another. You can easily get to know that you are on the closing stage if your salespersons are able to achieve their respective goals. For closing the deal, you need to get an approval from the decision maker via contract. Once, your deal is closed; you can easily see your new customers through fulfillment. Read more about Sales Process in HubSpot. Till now, you have read that HubSpot provides sale services in less amount. You may be curious to know about its pricing. Are You? Then this chapter will clear all your doubts. Most of the business organizations aims to generate revenue by spending less money and time. Here is the answer to your queries. If you are new into the world of business and do not have enough money but still want to avail sales services. Use HubSpot as is the best tool till now. 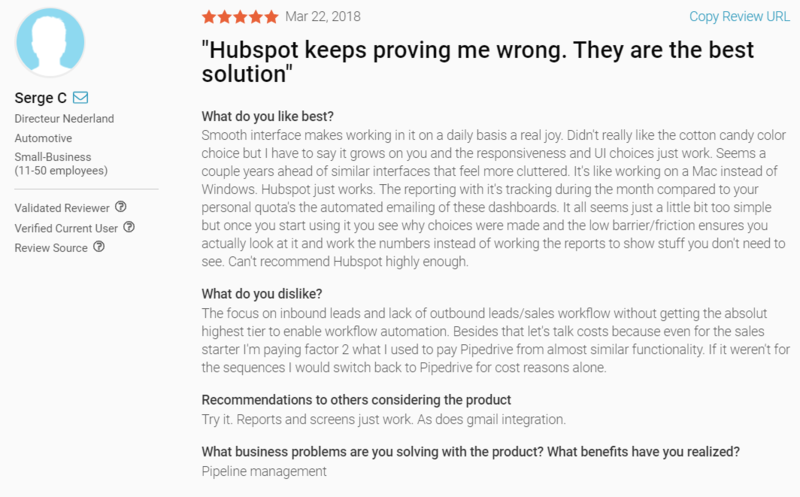 I analyzed that people who are somewhat familiar with the HubSpot still have doubts whether HubSpot is providing free sale services. Read below to clear your doubts. “Free” is the phrase which grabs the attention of every individual. I am one of them. There are many tools which promise to provide free services, but they don't. If you face the same problem, then Trust me and Go for HubSpot Sales as its Free. Yes! HubSpot sales is Free forever. Wait. I know you are excited because you also want to enhance your business productivity by improving your sales process for providing excellent services to your sales team. Whenever you avail sale services by providing some amount of money, it comes under HubSpot Sales Hub or HubSpot Sales Pro. Pricing of each version varies according to the number of features it provides. More you will spend more you will get. But yes, the packages that HubSpot is providing is very affordable as compared to other sales tools. Want to know more about all these sales packages, read the below table. You can easily compare all of them. This particular version of HubSpot Sales used for the sales team. This version will help your sales team to reduce the complexity of complete Sales Cycle, enhance productivity, and improve close rates. Your excellent sales team can use this version as it provides advanced features. If you have a more sophisticated sales team, then use the enterprise version of HubSpot Sales. Including all the sales features of HubSpot Sales Free. 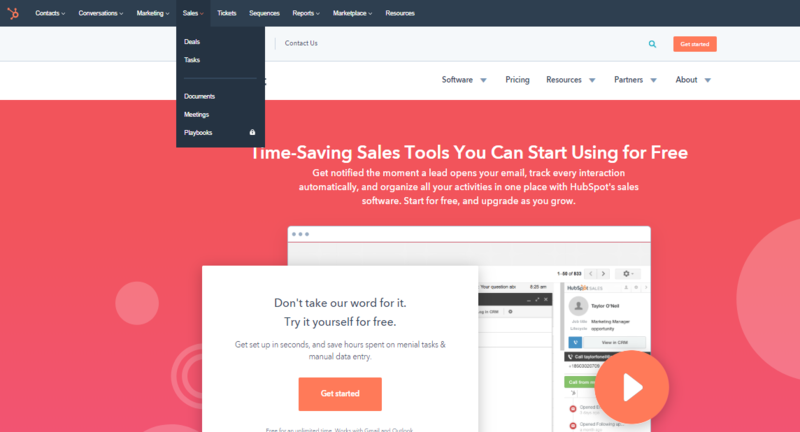 Including all the features of the HubSpot Sales Starter. Including all the features of HubSpot Sales Professional. By reading the above difference, you can easily select the package which will fulfill your demands and business goals. Are you Planning to upgrade HubSpot to HubSpot Sales professional? Read how sales professional will help you to generate more revenue. Do you know? HubSpot also provides training to give you more understanding about HubSpot Sales Hub. You will get certified which will help you to stand at some place in the corporate world. Read the next chapter as it is all about HubSpot Sales Software Certification. Do you want to make your career in the digital marketing world? HubSpot Sales certification will help you the most. According to my point of view, doing certifications and learning through videos is a better way to upgrade your knowledge about HubSpot CRM and Sales. By reading this chapter, you will get detailed knowledge about HubSpot Sales software certification, its importance, and other related information. What is HubSpot Sales Software Certification? Most of the people prefer to avail free online training courses. Are you one of them? You will be surprised to know that HubSpot Sales Software certification is free to you if you will use HubSpot sales or HubSpot CRM platform. In this certification, there are five short lessons which are arranged in proper order. The first lesson is Capturing Inbound Leads which includes information about different HubSpot tools as these tools will help you to get more qualified leads. Other two lessons will help you to organize the contacts and leads. Some tools are also discussed which helps in organizing the leads and convert those leads into opportunities. In the fourth lesson, you will learn about different ways to track and close the opportunities. By going through the last lesson, you will get to know about an additional tool according to your choice. Do you think about the primary goal of this course? The primary motive behind designing this course is to educate Sales representatives who use HubSpot CRM daily. Are you also in the same lane? Grab this opportunity. If you think that this course will consume more time. Don't Worry! The combined time of all the lessons is a bit more than an hour. To get certified, you just need to answer 50 multiple choice questions. You will get 3 hours to complete the course. Use an additional tool which is learned in the last lesson of the course. If you are already certified, it doesn't mean you have to start over. If you have already done the certification, then it is valid for 1 year. You will be surprised to know that HubSpot provide different ways which will make you educate. Are you interested to take a new course? Are you waiting for your last certification to get expired? Not at all. Get Going! You can do more and more certification and upgrade yourself without waiting for the expiry date. Go ahead and join HubSpot. If you still have any confusion regarding HubSpot Sales Software certification, feel free to contact our expert team @webdew.com. 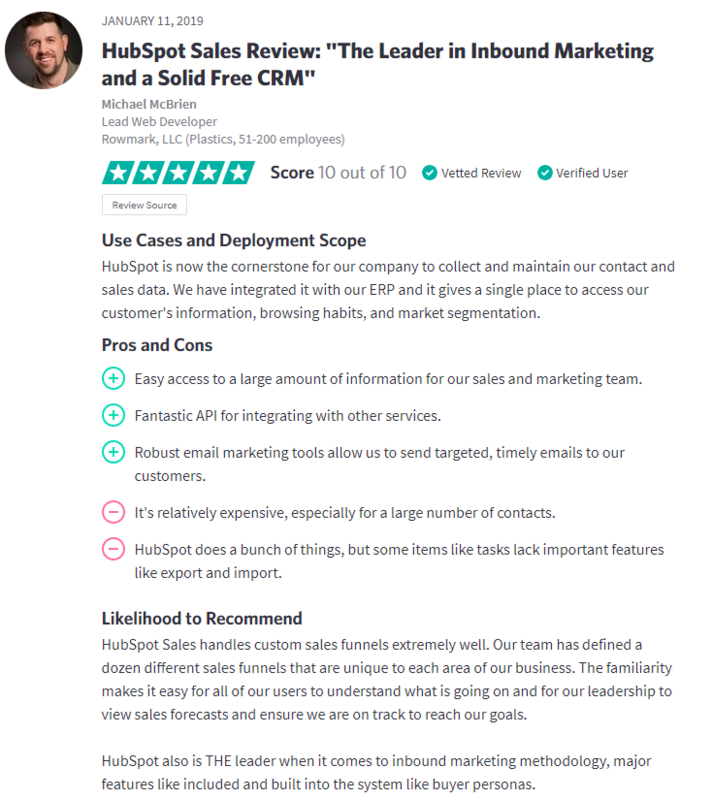 You may be curious to know about the HubSpot Sales Review and Ratings. This chapter will make your mind to migrate from your current sales tool to HubSpot Sales Hub. The reviews are the real information which are added by the people only after availing that particular service. 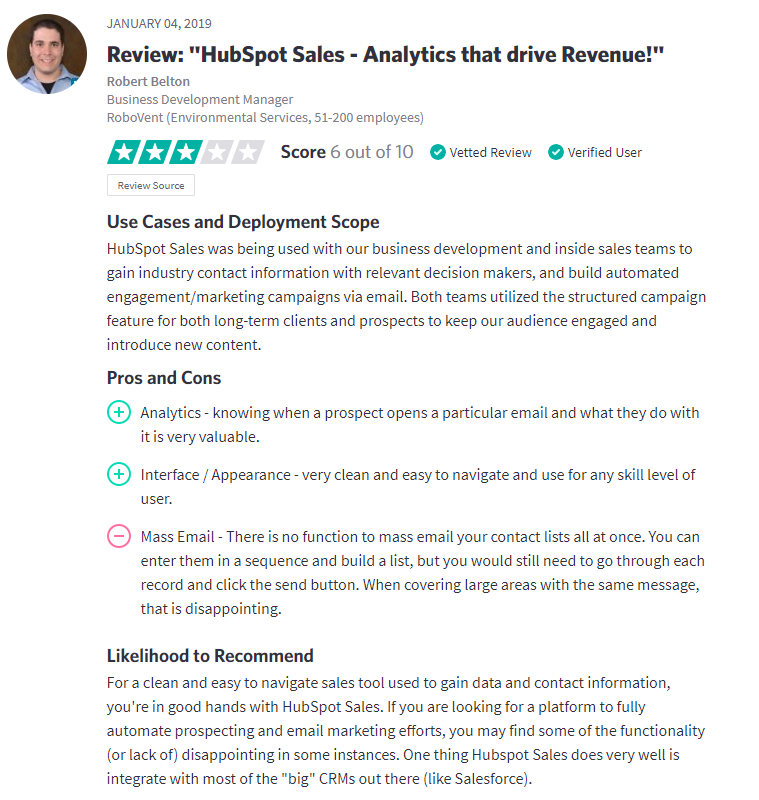 Read the reviews and make your mind for migrating to HubSpot Sales tool. 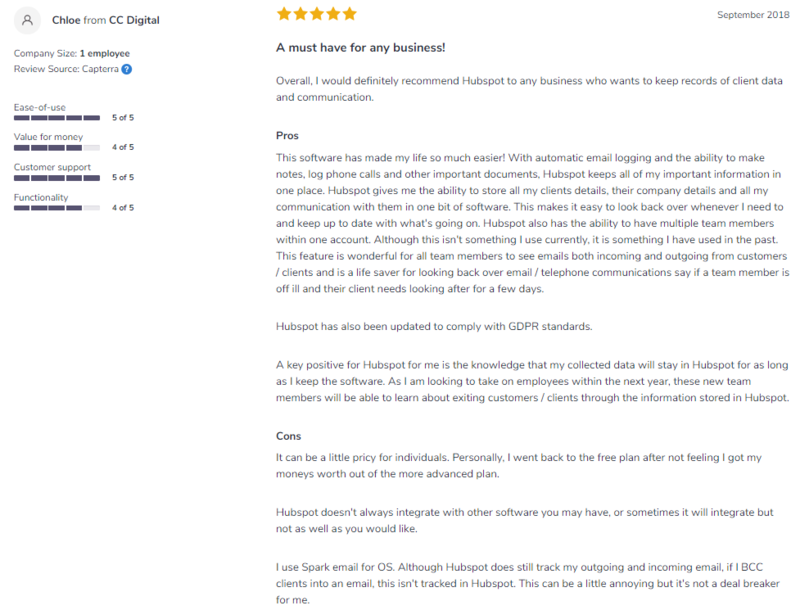 Hope, you are satisfied with the reviews because the added information is provided by reputed people who are using HubSpot sales services on a daily basis. You will be surprised to know that HubSpot Sales is awarded as the best Sales Software tool in the year 2018 by FinancesOnline. The position of HubSpot sales is at the top of all the Sales Software products. Due to all the positive responses and effective services, HubSpot is preferred by most of the business organizations. 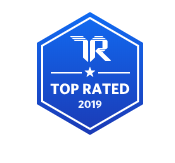 It is also top rated in 2019 by trustradius. As we know that there are many HubSpot Sales Alternatives, but if you want to grow your business quickly, then go for HubSpot Sales. After the comparison done by financesonline, it is concluded that the scoring of HubSpot Sales Software is 9.8. Then why not to go for the best tool which is preferred mostly. Now, let me summarize you with the main points that are discussed in this comprehensive guide of HubSpot Sales. I hope you are familiar with the basics of HubSpot Sales, its benefits, features, working, etc. Now you can realize that it is the most essential tool by using which you can move your deals forward and increase your business sales. By using this software, you can build a deeper relationship with your contacts and convert them into your leads. You can easily interact with your deals and analyze their interest by evaluating the dashboard. This will further help you to provide more effective services and gain customers attention. As a sales professional, you should know that sales is a never-ending process, so you need to track all your sales activities and watch the performance metrics daily. This can be done by measuring the sales process, making specific deal pipeline, evaluating sales dashboard via HubSpot sales. This platform will help your sales team to work more effectively which will directly increase your business growth. If you are looking for availing more comprehensive HubSpot services, Click here. You can also upgrade your knowledge regarding other HubSpot blogs. This will further help you to enhance your business productivity, efficiency, revenue and improve your relationship with deals. Hope you have gained the knowledge regarding HubSpot sales. Now, you just need to start and turn over your business approach.